Pet owners who want to give their pets the healthiest and happiest life possible may often wonder, “What is the most important thing I can do to improve my pet’s well-being?” Is it buying the right toy or making sure Fido is properly trained? Or is it making sure they are regularly bathed and their nails trimmed? While those are important aspects of a pet’s life, the single most important thing an owner can do for their pet’s overall health is to feed them properly and avoid obesity. ArthritisPainful inflammation and stiffness of the joints. : Extra stress on joints due to excess weight and obesity causes pain and hastens the breakdown of joints, often leading to the use of pain control medications that can be costly. Respiratory compromiseHaving respiratory difficulty. : Excess fat causes overheating and poor lung inflation. DiabetesA metabolic disease in which the body’s inability to produce any or enough insulin causes elevated levels of glucose in the blood. : Extra body fat can produce hormones that block or alter normal body functions like insulin use. This can lead to insulin resistance and is a risk factor for several metabolic diseases. Skin problems: Folds of fat become chafed and are predisposed to infection. Increased surgical risks: Obese animals metabolize drugs at different rates than animals of normal weights, increasing their risk for anesthetic complications. Additionally, proper air exchange during anesthesia is more challenging for obese animals. Heart disease: The heart muscle must pump harder to circulate blood in animals with obesity. Reduced lifespan: Lean dogs live an average of 2.5 years longer than their heavier counterparts. Is the enjoyment of extra calories worth all of the risks that accompany obesity? One might think that weight management of a pet would be fairly easy since the owner has the ability to control portions and exercise. However, it isn’t a simple process for most of us for several reasons. Many of us feed our pets as an expression of love and overestimate the amount of food they need. Even the feeding guidelines found on the back of your food bag can be tough to decipher. Those feeding guidelines are merely a starting point and are based on eight-ounce measuring cups, not the drinking cups we might use to measure or visualize a serving. Table food and most dog treats are another issue because they add calories very quickly. Other issues can be completely beyond an owner’s control. For example, some animals simply have genes that predispose them to obesity. Slow metabolism can also be blamed on aging or the consequence of a disease process such as hypothyroidism. Finally, while sterilizing is great for public health and pet behavior, neutering decreases caloric need. Knowing how overweight your pet is can help you manage its weight and hopefully bring it to a healthy level. One method of gauging their weight is its Body Condition Score (BCS), a nine-point scale on which each number signifies a body condition ranging from emaciated to obese. The methods to test your pet’s BCS are easy, quick and non-invasive and can be done by the owner. 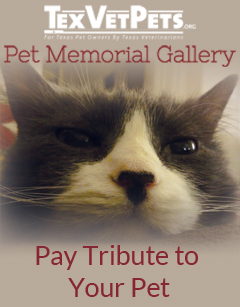 Click here for step-by-step instructions on how to determine your pet’s BCS. Your veterinarian is your best resource for determining whether your pet is in an unhealthy weight range and developing a plan to fight obesity. 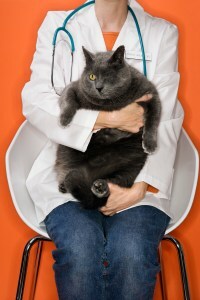 You veterinarian can determine their ideal weight, rule out possible health risks and issues that could be contributing to obesity, screen your pet for issues that the extra pounds may be causing (e.g., joint pain, diabetes), develop a safe exercise program and determine your pet’s caloric needs. Since leaving food out encourages snacking, feed measured meals on a schedule. Slow down! Slow the eating process by feeding a “light” or “lean” dry food with a larger kibble size that forces them to chew rather than swallow it whole. Placing food in a single layer or adding barriers, like a ball, in the food bowl will also slow the eating process. 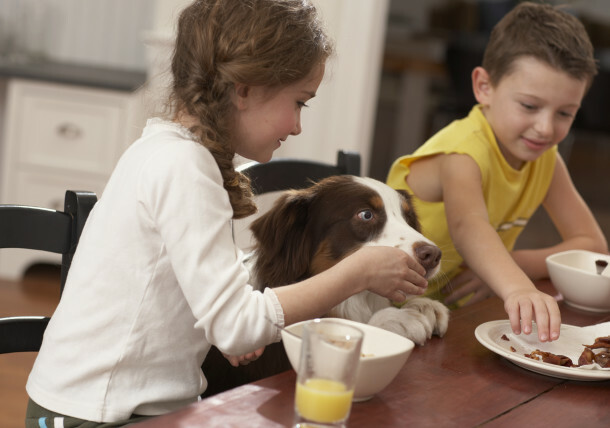 Making your pet “work” for its meal can increase mental and physical stimulation and help control caloric intake. Think of it as encouraging them to “hunt” for food, as they might in the wild. Snack smarter: Switch to treats that have fewer calories. Some healthier suggestions are canned green beans, fresh baby carrots, steamed zucchini, chopped apple, seedless watermelon or pieces of unflavored rice cakes. Some folks just treat their dogs with a piece of their regular dog food. Remember that hugs, kisses and play are calorie-free! Interaction is generally what your pet is “begging” for, not food. So get creative and play! Don’t get frustrated: There are quite a few prescription diets formulated to help pets lose weight. 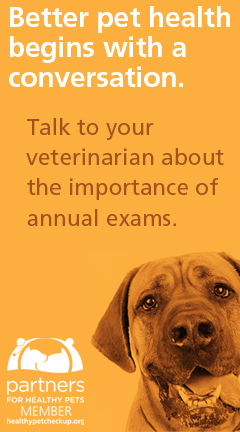 Your veterinarian can help determine the best one for each situation. Think feline-friendly: Some, but not all, canned foods will satisfy cats’ high-protein nutritional needs without the extra carbohydrates found in dry food. Make sure to ask your veterinarian before switching your cat’s diet. Everything in moderation: Remember that in most cases there is no reason to entice an overweight pet to finish his food by mixing in tempting snacks. Time is on your side: Weight loss should be slow and steady. Crash dieting is bad for both people and pets. Consult your veterinarian before starting on any weight-loss program for your pet. Anyone who has ever tried to take off a few pounds understands the challenges of weight loss. Food plays an important role in our society and tends to be associated with love. No one overfeeds a pet with the intent to cause joint pain, heart and lung distress, diabetes and a shortened lifespan. It might be misguided, but most pets are overweight because they are dearly loved. Every owner deserves to know how a healthy body weight can impact their pet’s quality and length of life. Make it your responsibility to bring your pet’s weight to the forefront of conversations with your veterinarian. Weight isn’t always the most fun topic to talk about, but it is one of the most crucial factors in making your pet’s life as active and healthy as possible. “Effects of diet restriction on lifespan and age-related changes in dogs.” Journal of the American Veterinary Medical Association, May 2002; 220 (9):1315-20, Richard Kealy, Dennis Lawler, Joan Ballam, Sandra Mantz, et al.